This house is in an enviable location just at the side of the Godwin Sports Ground and a couple of minutes walk to Sheffield University. 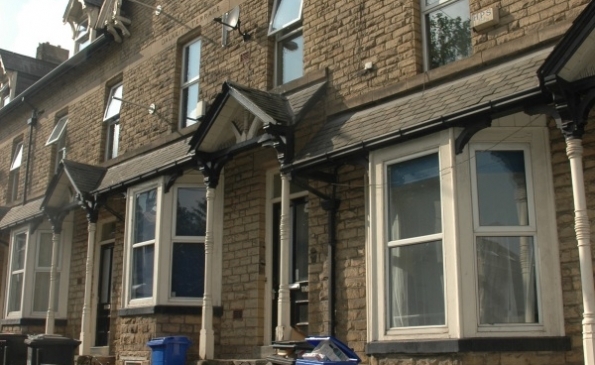 This row of victorian villa's converted into student accommodation to cater for groups of 3 - 10 are situated in arguably the best location for students. Next door to Godwin Sports Centre & with 5 minutes walk of Sheffield University, 10-15 minutes walk to all other campus & the City Centre. Recently refurbished these houses now provide fantastic accommodation for Students wanting to share with a large group of friends. *note internal photos are of 108-122 in general & therefore may not be specific to this actual house layout may vary, but specification & standards will not.